ZeallSoft FunPhotor is fun and easy to use photo blending software. Swap faces and bodies! Change yourself into an astronaut or a personality on a poster. Change photos for practical jokes! FunPhotor support video cameras to take your picture. Text editing lets you add colorful taglines and descriptions. Photos can be created in only 4 simple steps! The registered user can get a lot of Templates. FunPhotor is fun Photo Creator - Put Your Face on Fantasy & Fun Photo! ...... and it's also a valuable and sophisticated program for entertainment. It's just plain fun! If you're looking to make a wacky greeting card or have a laugh at someone's expense, give FunPhotor a try. The registered user can get a lot of Templates. * The registered user can get a lot of Templates. 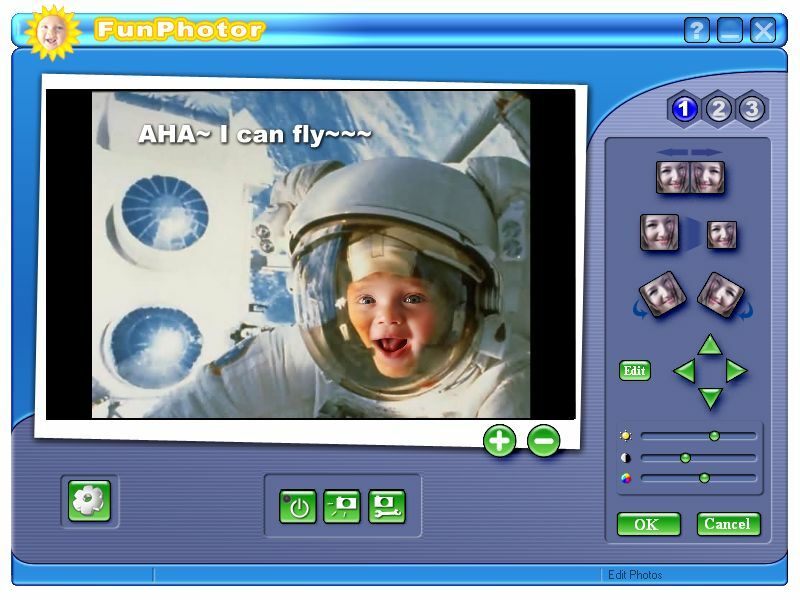 * FunPhotor supports Video Cameras to take your picture. * Only 4 steps to create fun photo. Very Easy and fast! * Create & share your own surprise templates. * Over 200 cool templates to make editing easier. * Text editing lets you add colorful taglines and descriptions. * FunPhotor support E-mail: you can easily send your final photo to friends! * Print your masterpiece on a single sheet of paper. Qweas is providing links to FunPhotor 6.2003 as a courtesy, and makes no representations regarding FunPhotor or any other applications or any information related thereto. Any questions, complaints or claims regarding this application FunPhotor 6.2003 must be directed to the appropriate software vendor. You may click the publisher link of FunPhotor on the top of this page to get more details about the vendor.